Homemade waffles can make an excellent meal any time of the day! Top them with some yogurt or fruit and they become a filling and healthy meal. The first time I made waffles with a waffle iron at home, the waffles exploded all over my kitchen! From that day forward, whenever I make a new waffle recipe, I am sure to put a small amount of batter in the iron to start and watch to see how much they grow before I trust the directions. I'm still cleaning up waffle batter on my waffle iron from that first mess. 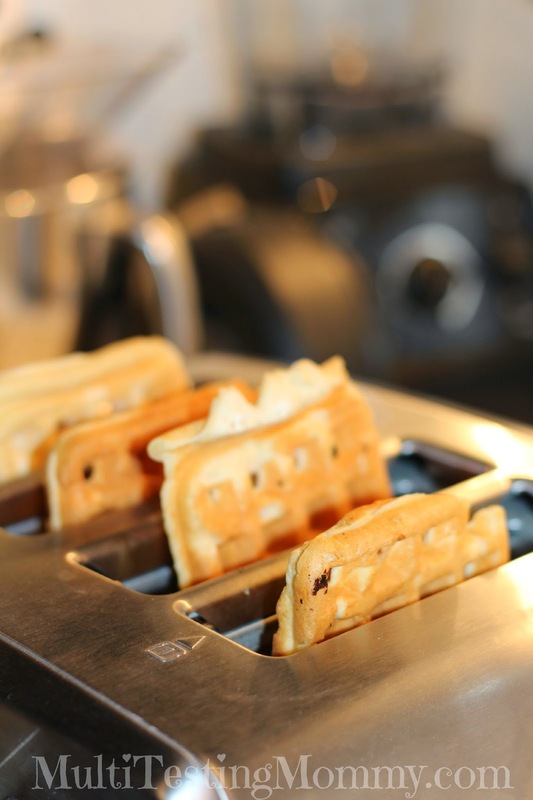 An easy way to re-heat waffles! A healthier homemade waffle with added protein. Great news, Kraft has Specially blended their Kraft Shredded Cheese with a Touch of Philadelphia to deliver a soft and creamy melt that will make your favourite meals even better! Available in 3 delicious flavours: Creamy Mozza, Creamy Herb & Garlic and Creamy Mexicana. 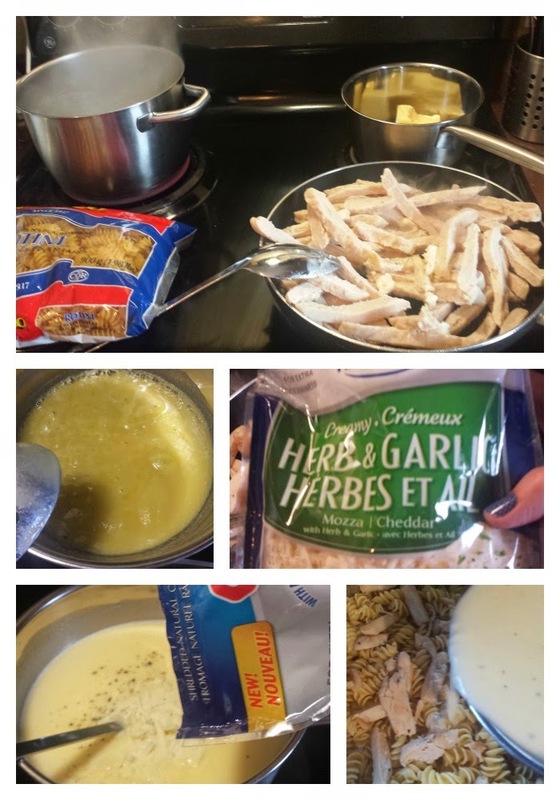 As soon as I heard about the Creamy Herb & Garlic I knew it would be perfect for a cheese sauce, and my Chicken Pasta Melt was born! 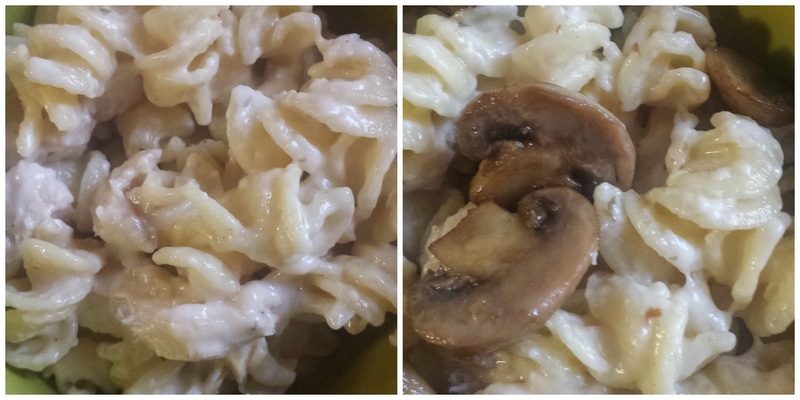 I served with mushrooms, you could also also serve with cooked spinach or a spinach salad on the side. Everyone loved this dish, kids included, the creamy texture with the Kraft Shredded Cheese with a Touch of Philadelphia was to die for and the Creamy Herb & Garlic flavour was perfect! It made for fabulous leftovers too. Visit the Kraft Canada website to see more yummy and scrumptious recipe ideas that include Kraft Shredded Cheese with a Touch of Philadelphia and a Melt you won’t forget! Disclosure: Although this post has been generously sponsored by Kraft Canada, the opinions and language are all my own, and in no way do they reflect Kraft Canada. It's been a long winter, and getting together with friends for lunch has not been easy, especially with my little man in tow. But the sun is finally shining, the snow is gone, and just last week I got to go out with a couple friends, including my blogging buddy Kim, for a Ladies Lunch at Wendy's. 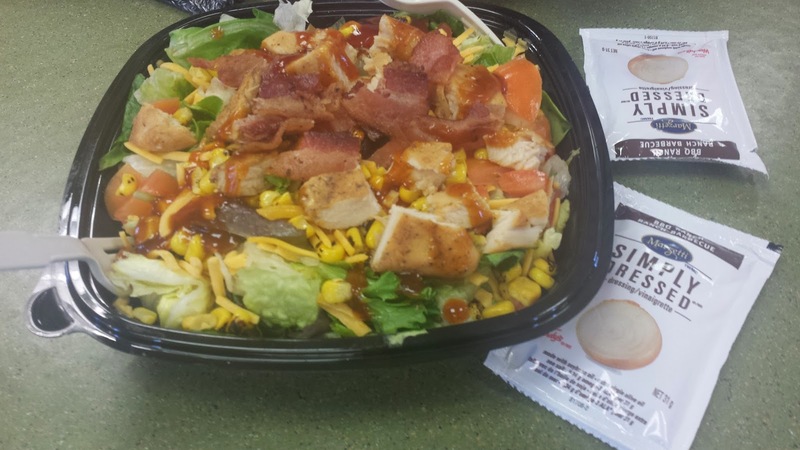 We sampled the new salads, there are 3 to choose from - Asian Cashew Chicken, BBQ Ranch Chicken and Taco Supremo Salads. We both went to BBQ Ranch Chicken and ended up sharing one because it was so big! Luckily I'll know better for next time, Wendy's offers half portions too - perfect! These 3 new salads are 50% lower in fat grams, 29% lower in sodium, and 61% lower in saturated fat, so you can't go wrong for this lunch! We had a great lunch chatting about work, kids spring and summer sports, shopping for summer clothes and our favourite sandals. I've already been sneaking into my flats, muddy out or not, and I know by next week I'll have my beloved flip-flops on! Are you dying for sandals too? After tasting this yummy salad we also got chatting about backyard BBQ's, the BBQ Ranch Chicken salad is like a savory backyard BBQ in a bowl! Made fresh daily with ingredients that you see around your grill, such as fire roasted corn, freshly diced tomatoes, shredded sharp cheddar cheese, applewood smoked bacon, a honey BBQ sauce and topped with warm chicken. It was also served with a BBQ Ranch dressing, made with real buttermilk, parmesan cheese, ancho chili peppers, honey and brown sugar - delish! Did you know Wendy's was the first restaurant that brought the salad bar to quick service customers more than 30 years ago? And there's a salad spinner in every Wendy’s kitchen because they wash and hand-chop heads of romaine and iceberg every day and mix it with a triple-washed leafy spring mix made with 9 different greens! 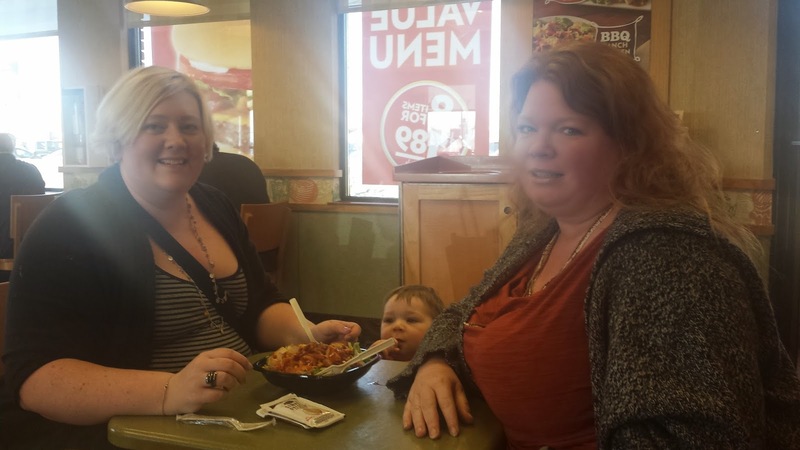 Now that Spring has sprung, I recommend you grab a gal pal and catch up at Wendy's over a salad too, the perfect chance to reconnect! 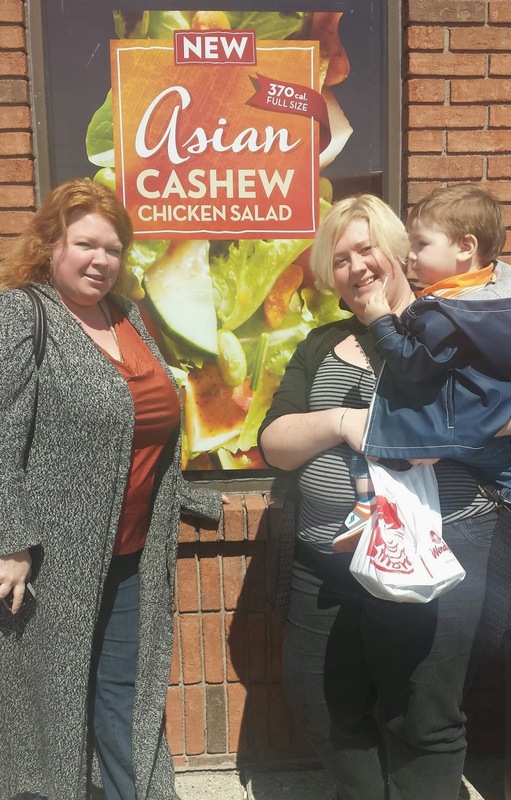 Click to learn more about the new chef inspired Salads and to see more videos of Girlfriends at Wendy’s Eating Salads and Talking About Stuff. There's so many ways to pan fry a pork chop - with just a touch of salt and pepper, breaded, spicy, with apples, the possibilities are endless! Everyone in the family loves these, the kids usually make a sandwich out of them. 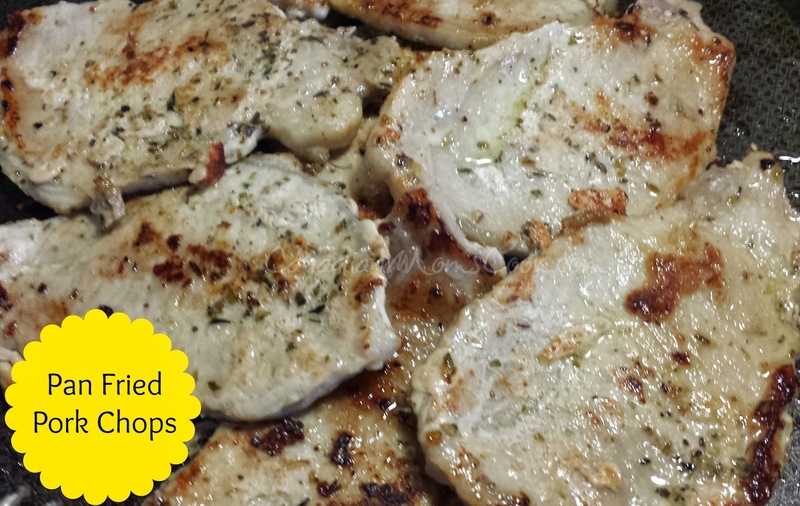 Easy to make for a crowd, use these seasonings and bbq the chops too for another great meal! One of my guys HATES to try new things, no matter how awesome I tell him it is, no matter if his brothers are eating it or if I try to sneak it on his plate, he just won't do it. UNTIL, I suggested a taste test! 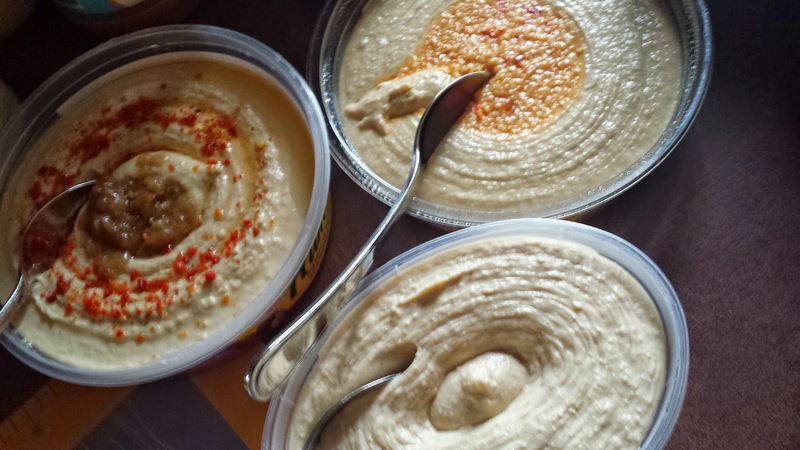 One thing *most* of the family loves, but this guy refuses to try, it hummus, then today at the grocery store while picking some up, I decided we should have a hummus taste test tonight! Picking up 3 flavours, I told the kids after school, and they were all over it!!! Even my picky guy tried each one, declared a favourite, and fingers crossed, will eat it again in the future. How do you get the kids to try new things?? 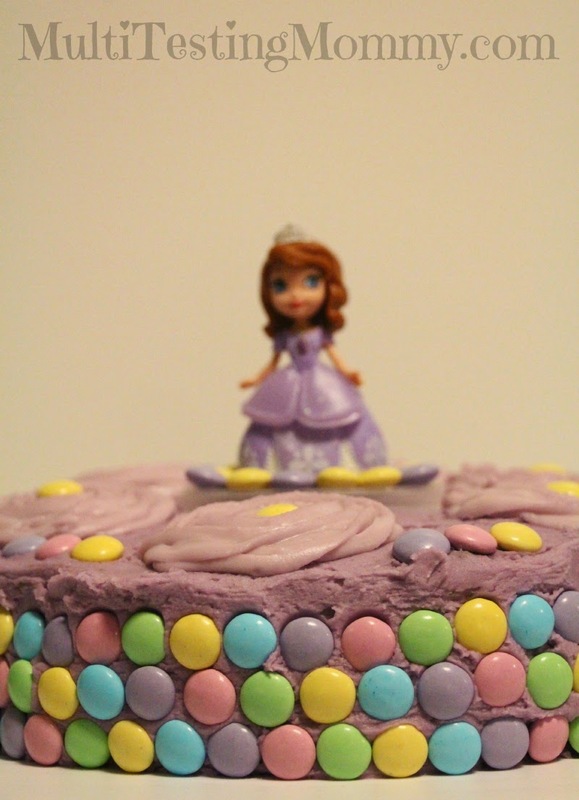 Yesterday, I shared my Gluten Free Chocolate Cake adventures. I ended up stepping outside of my comfort zone and made a cake that uses Quinoa instead of flour and it is honestly going to be come one of "go to" chocolate cake recipes. The entire family enjoyed it and no one could taste the Quinoa. That gluten free chocolate cake was made using a Vitamix Blender. I have been using a Vitamix Blender for a little over a month now and I absolutely LOVE the quality dishes that it helps me to make. I have made MANY smoothies as well as waffle batter, tomato sauce and yorkshire pudding and of course, the Gluten Free Chocolate Cake. 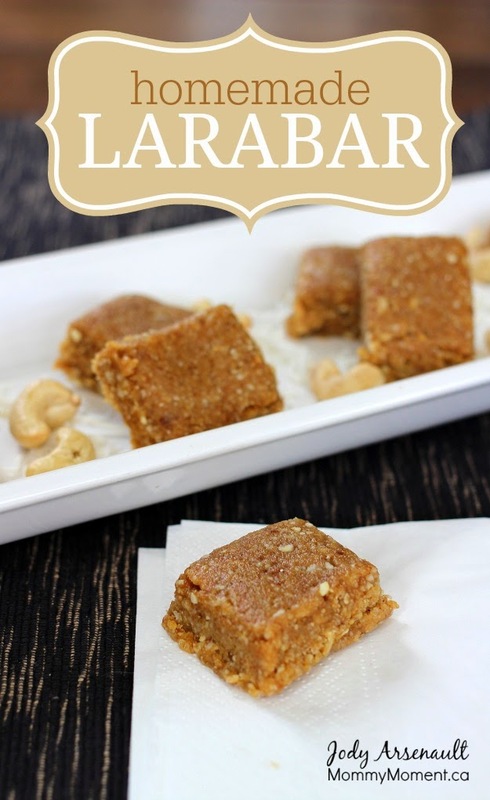 You can also head over to MommyMoment.ca for a Homemade LaraBars Recipe using a Vitamix Blender. We are VERY excited to be offering a terrific opportunity to our CANADIAN READERS today! 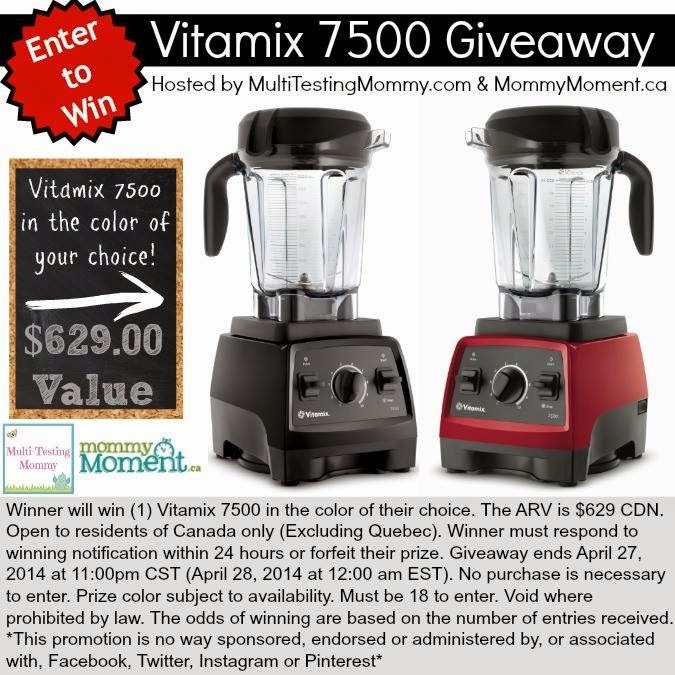 One lucky reader who enters will win a 7500 Series Vitamix Blender!